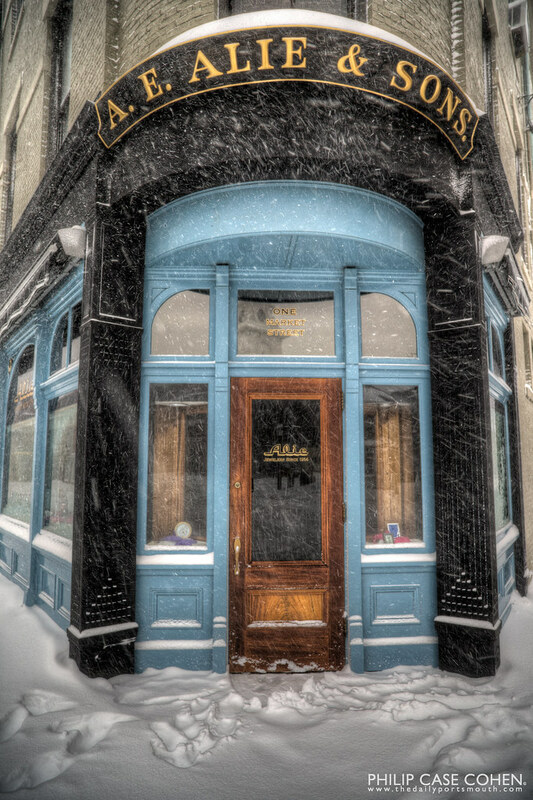 In the latest installment of The Doors of Portsmouth, here’s a glimpse of Alie Jewelers, one of the most recognizable storefronts in town….in the midst of a blizzard. I think the intensity of the light and the snowflakes do a lot to up the drama of a normally lovely door. I never took the time to really look at this doorway. Thanks for capturing it! It’s yet another reminder of the beauty around us.